Badger Hydrovac vacuum trucks are trusted for sensitive subterranean work and to safely daylight underground gas lines, electrical cables and other types of infrastructure for the Construction Industry. 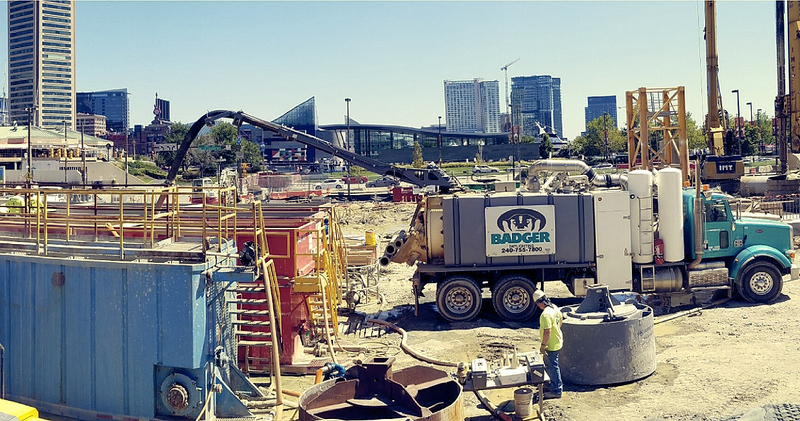 We apply our high-suction vacuum combined with high-pressure water to liquefy and remove columns of soil, clay, sand and gravel from depths of over 50’ deep and up-to 600’ away from the Badger hydrovac truck. We have extensive service coverage throughout Canada and the USA. Find a location nearest you.